You must be a member of the Singapore MBA Professionals Group to attend this activity. Would you like to join this group? 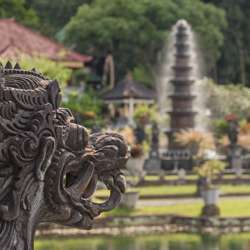 Thinking of expanding your business to Indonesia? Come network with others in a similar mindset, bounce ideas off each other, and meet experts who can help make this an easy expansion for you. In partnership with Moores Rowland Asia Pacific. Moores Rowland Asia Pacific has over 30 offices in 11 countries including: China, Hong Kong, India, Indonesia, Japan, Malaysia, Singapore, Taiwan, The Philippines, Tajikistan and Thailand. Join us as we connect in this brand new bar which will have it's grand opening at the end of January.